We’re not convinced there’s such a thing as too much glitter! 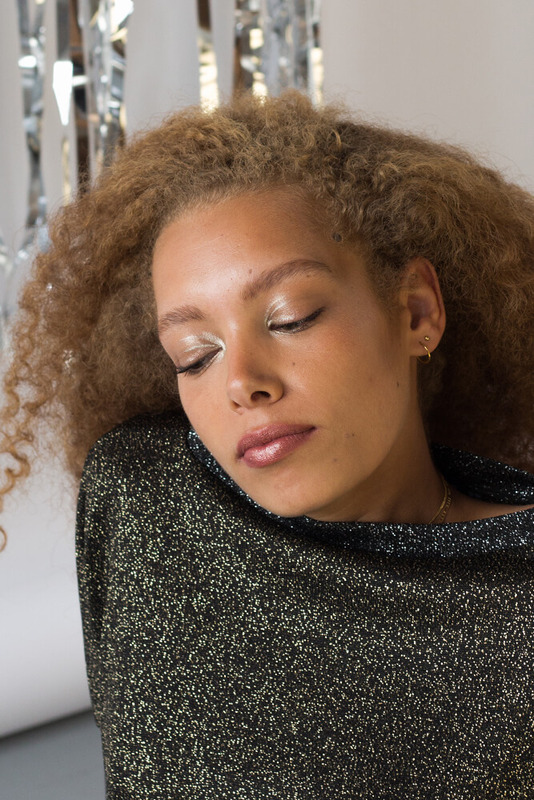 More is more as our two wardrobe staples – Folk Dress and Box Jumper – are transformed into a timeless party icons..
Let the swing of our Box Jumper in Gold or Silver get you in a dancing mood (wear it with a pencil skirt or skinny jeans for best effect!) while Folk Dress in Silver or Gold is both elegant and outgoing – deserving of some gold brogues and sparkly socks at the very least. 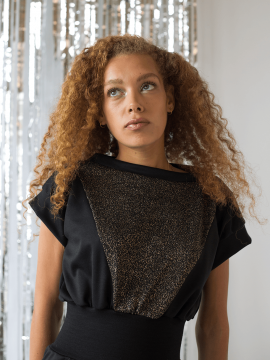 The wonderful lurex that we’re so proud of was knitted in the UK at our beloved J T Knits, who were based in Yorkshire and sadly closed in 2014 – they knitted for brands including Vivienne Westwood, Balenciaga and Victoria Beckham.